Can Evolve truly be a success this year? 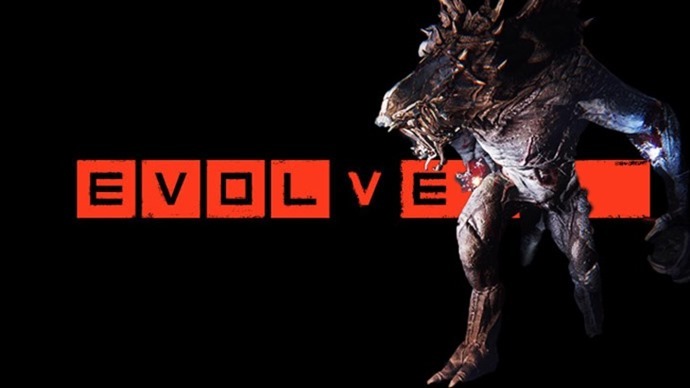 So I got my first hands on time with Evolve last night and it has got me thinking about my previous views on the game and whether or not, shock horror, I was wrong. To put it into context Zoe came back from E3 raving about Evolve and how it was the very best thing since sliced bread and how it truly must be the game of the show for E3 and a strong contender for Game of the Year. At that point I strongly disagreed and said that a pure online multiplayer game that requires massive amounts of teamwork may work great in staged environments like E3 or at reveal events but when the game is released into the seething pit of humanity it just won’t be that much fun. I mean when was the last time you played a game of Call of Duty or Battlefield and everyone worked as a solid team? Not to mention what happens to your game if the monster or medic just decides they are bored and quits? Now to be fair we have heard that there will be a single player of sorts in the game but this hasn’t been revealed yet and with the massive focus on multiplayer I’m not sure this will be enough. Well I played the game last night and it was a whole lot of fun in the perfectly staged environment. I mean we even had trainers who spoke us through what we were meant to do so yeah it seems perfect. But I’m still not sold on whether or not this game can truly work in the wild. But I got thinking this morning, what are some of the most popular games on the Internet at the moment? DOTA 2, League of Legends, World of Warcraft and even the very well received Left 4 Dead 2. All of these games are online only (or mainly online) and all require a massive amount of teamwork to actually succeed. The most expensive game of the year, Destiny, is another that is heavily reliant on teamwork to succeed so maybe Evolve’s requirements aren’t that much of a stretch. In the end I feel 2K and Turtle Rock have created one of the most exciting new IP’s we’ve seen in a long time and I truly hope they sell a bucket load of copies and the game is a massive success. But I think a lot of that success will rely on whether or not they can get the online matchmaking and communication aspect nailed perfectly. Evolve will be released with LAN ability which could make this game the perfect title for large LAN’s which will also add to its markability, however the selling point has always been the online experience from 2K so that is what I have to judge it on right now. Either way I’m definitely looking forward to taking on some more monsters when Evolve releases later this year on PlayStation 4, Xbox One and PC.